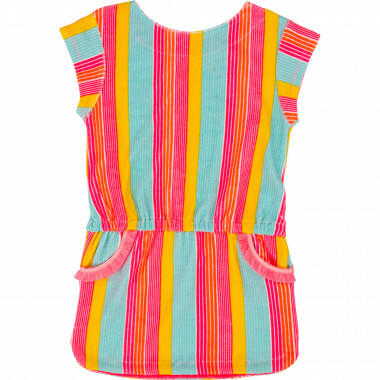 Head to a deserted beach with seashells and shellfish with this Billieblush girls' swimsuit. This jersey 1-piece model has a fruit and cactus print. With ruffles on the straps, it is sold with its striped PVC pouch. 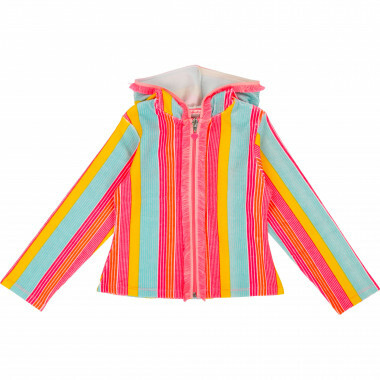 Head to a deserted beach with seashells and shellfish with this Billieblush girls\' swimsuit. This jersey 1-piece model has a fruit and cactus print. With ruffles on the straps, it is sold with its striped PVC pouch.